Your kitchen is full of appliances. The stove, oven, microwave, refrigerator, and dishwasher are usually considered to be essentials in a functional kitchen. In addition to these major kitchen appliances, there are dozens of small kitchen appliances all designed to help you make the most of your time in the kitchen. This section of tips includes ideas about cleaning your appliances, conserving energy, and finding low-cost appliance options. You will also find information about specific appliances including coffee makers, juicers, and deep fryers. The following articles are available for the 'Appliances' topic. Click the article''s title (shown in bold) to see the associated article. I have always wanted to have some great tasting fresh juice. I figured that the best way to get that was through the use of a juicer. Here is a little bit about my experiences with the Kalorik citrus press. To the coffee enthusiast, a bean to cup coffee machine may seem like the ultimate fulfillment of their wildest dreams. However, there are a few things that the java junkie needs to keep in mind before rushing out and getting their very own. Here is what you need to know about bean to cup coffee machines to help you decide whether you need one yourself. Do you need a convenient place to keep drinks cold? A beverage center can help, whether you need drink storage at home or in a commercial setting. A Cappuccino is a coffee drink made with espresso and milk, It is a more elegant way to enjoy your morning beverage, and may add some variation and excitement to your coffee routine. While you use your stove all the time for cooking, how much time do you really spend taking care of it? Stoves need to be cleaned and properly maintained in order to ensure they work as well as possible. This way, your stove will continue working properly. Cheap kitchen appliances make our lives so much easier, performing tasks in a fraction of the time it used to take. 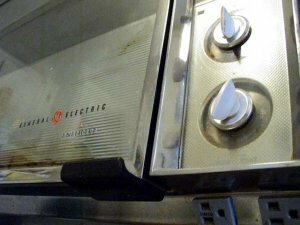 Toasters, toaster ovens, microwave ovens, convection ovens, food processors, blenders, countertop grills, hand blenders, pressure cookers, ice cream and yogurt makers, and bread machines are just a few of the small kitchen appliances that most of us have, and they are inexpensive and easy to find. When choosing commercial appliances for your business, there are a few things you should consider. Having the right appliances can help your business to thrive, while having the wrong ones could potentially harm it. Cooking with the George Foreman Grill is great for making easy meals that are lean and healthy. But, cleaning up the mess sometimes can be very frustrating. Here are some ideas on how to clean the grill, making it easier the next time that grill is needed. Anyone that drinks coffee will attest to just how important and vital the coffee machine can be. Coffee machines are among the most popular types of brewing devices available today. The question, though, is what to look for in a coffee machine and how to properly use that coffee machine. Well, never fear since the answers to these questions lie here. Pod coffee makers like many small kitchen appliances are a trade-off. They are designed to make a very good single cup of fresh brewed coffee. As to the quality, they make an excellent coffee one cup at a time. As with any coffee maker, the quality of the coffee produced vary depending the specific machine used. There are a great many uses for commercial freezers, not all of which are for restaurants or stores. If you have ever had a question about commercial freezers, what they are for, and whether one will suit your needs then wait no more! Your answer awaits you here. If you're in the market to start your own restaurant, you'll need to know all about commercial ovens. Read and find out about all the different shapes, sizes and brands that they come in. Want to cook hamburgers on a Foreman grill, but are tired of the dried out, over cooked hamburger that has little or no taste? Read on to making a better burger on the Foreman grill. The crock pot is an amazing culinary invention, but many don't know how to use it. Learn the basics of the crock pot and start to understand what an amazing tool it really is. Cooking a flavorful steak on a George Foreman grill is easy to do. With very little effort and time you can have a great-tasting steak. Read on and learn how to make a mouth-watering steak in no time. Does the idea of deep frying scare you? You can actually have some fun deep frying with the Kalorik Deep Fryer; it's perfect for home use. Espresso is made by applying pressure to coffee beans, producing a strong and delicious drink. You can make this coffee beverage at home using an espresso maker. There are all kinds of different ways may have heard about French Press coffee makers. Maybe you heard about them from your local restaurant or coffee house, or you even saw something on television about coffee. Whatever the reason, chances are you have some questions about what makes a French Press coffee maker so special, and how to use it. Here are your answers. Want to be more energy efficient? Use these tips to save energy in the kitchen. If you are thinking about purchasing a countertop deep fryer, make sure that you know what to do. While using a countertop deep fryer is remarkably easy, it should be done with extreme caution. Luckily all you need to do is follow these directions. Whether you are looking for ways to improve your nutritional intake or you are simply looking for ways to have some great, fresh-tasting fruit juice, a juicer can be the perfect addition to any kitchen. However, many times people do not know the best ways to use their juicing machines and therefore do not get the most out of it that they can—until now. Using a slow cooker properly is a fairly easy thing to do, if you follow a few simple guidelines. The first step to getting the most out of your slow cooker is to know its capabilities. Here are a few basics that you should keep in mind the next time you get ready to use your slow cooker. Waffles are a long standing favorite food all over the world. In fact, waffles are so famous that certain types of waffles have become synonymous with the region that they originated from. Anyone can make waffles, if they only have the proper equipment and know how to use it. Here is what you need to know for choosing that proper equipment, and how you are to use it.